Seafood lovers, especially those who shy away from cooking seafood at home, should check out the “Little Gulf Coast Seafood Cookbook,” by Kent Whitaker. The author serves up easy, delicious recipes for southern seafood, pictured in full color, from fish, oysters and lobster to shrimp, scallops and alligator. Included are expert buying and prep tips, and recipes for flavored butters, sauces, seasonings, sides, smoothies and desserts. Throughout the book, Whitaker profiles historic places to visit along the coast from Texas to Florida. 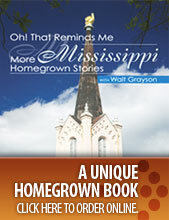 The result is a fun, colorful and mouth-watering journey through the unique Gulf Coast region. “Little Gulf Coast Seafood Cookbook” (softcover, $14.95) is published by Great American Publishers, a Central Electric Power Association member in Brandon.